I saw these sheets and thought they were too funny not to share. I think this would be a really funny sleeping bag, too. 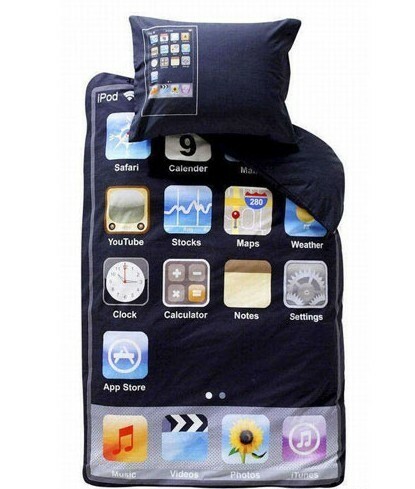 All it needs is an iPhone charging station hooked up to the sheets and you are all set to go in the wilderness!